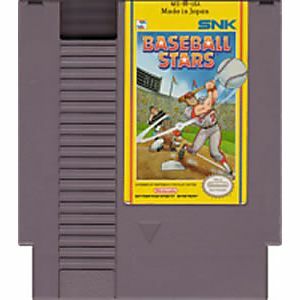 Baseball Stars original NES Nintendo Game cartridge only - Cleaned Tested and Guaranteed to Work! Ordered this title because I loved it as a kid. Game still holds up. Years ahead of its time with the roster management. The copy that came to me was super clean and the battery worked. The game was so clean in fact I just popped it in and hit power and it worked without any moving it around or getting out the rubbing alcohol. 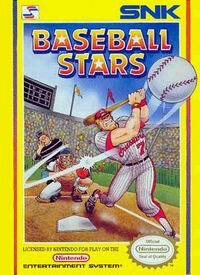 Baseball Stars really set the bar with combining sports games and RPG aspects. The ability for a team to gain experience and for the players to get better as they go (as well as earn money, buy new players, etc) was really revolutionary. And they blended it seamlessly into the fabric of this game instead of making it seem like a clumsy sidebar with little purpose. So many sports games in the years following this one tried to use earnings, player experience, and free agent signings as a modernization tool to attract people to their games, but they all felt like something done last minute just as an attraction all its own. 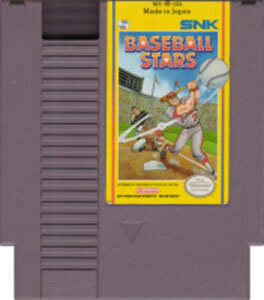 Baseball Stars integrated those features into the relatively standard play of the game. It didn't feel weird to look at hiring new talent or upgrading a player. You just do it. Only later, after seeing so many companies failing at trying to make something like it a fun experience in their games, can one really appreciate how well it is done here. Best Game Ever! Honestly...I love this game. Realistic, Fun, Awesome! Buy this!